The BrainFood Cookbook by Angela Taylor, M.S. Lecture notes of GAPS presentation given by Natasha Campbell-McBride, M.D. Topics covered include the relationships between food and intestinal disorders; a discussion of the cycle of events occurring in the intestine of those with problems and how the Specific Carbohydrate Diet (SCD) can break this cycle and permit the body to regain normal functioning. The chapter "About Autism" reviews some of the research dealing with the Gut-Brain Axis in child developmental disorders. It will point out how dietary intervention with the SCD addresses and often overcomes conditions thought to be at the root of Autism Spectrum Disorders as well as some cases of Epilepsy and Attention Deficit Disorder (ADD). As a parent of a child diagnosed with learning difficulties, Dr. Natasha Campbell-McBride was acutely aware of the difficulties facing other parents like her, and she has devoted much of her time to helping these families. She realised that nutrition played a critical role in helping children and adults to overcome their disabilities, and has pioneered the use of probiotics in this field. Her willingness to share her knowledge has resulted in her contributing to many publications, as well as presenting at numerous seminars and conferences on the subjects of learning disabilities and digestive disorders. Her book "Gut and Psychology Syndrome" captures her experience and knowledge, incorporating her most recent work. She believes that the link between learning disabilities, the food and drink that we take, and the condition of our digestive system is absolute, and the results of her work have supported her position on this subject. Natasha Campbell-McBride holds a Degree in Medicine and Postgraduate Degrees in both Neurology and Human Nutrition. In her clinic in Cambridge she specialises in Nutrition for Children and Adults with Behavioural and Learning Disabilities, and Adults with Digestive and Immune System Disorders. GAPS is basically the modern evolution of Elaine Gottchall's early SCD work. Jenny McCarthy — whose bestselling books Louder Than Words and Mother Warriors told the stories of healing children with autism — teams up with a preeminent autism doctor to write the first book on remarkably effective biomedical treatments (including diet). In 2006, autism became the leading disorder affecting children in the United States. While diagnoses skyrocket and parents struggle to find help, a group of innovative doctors has been pioneering therapies and treatments that are remarkably effective in healing conditions associated with autism. Since early intervention is key to a successful recovery, McCarthy has teamed up with Dr. Jerry Kartzinel, the doctor who successfully treated her son, to write the first book to give parents all the necessary information about biomedical treatments. Dr. Kartzinel shows parents how to make simple changes to their child's environment and diet that can result in marked improvements and are safe and easy to try at home. The UltraMind Solution by Mark Hyman M.D. New York Times bestselling author Mark Hyman shows that to fix your broken brain, you must heal your body first. Dr. Hyman presents a simple six-week plan based on the emerging field of functional medicine to restore health and gain an UltraMind-one that's highly focused, able to pay attention at will, has a strong memory, and leaves us feeling calm, confident, in control, and in good spirits. In this groundbreaking work, European Homeopath Dr. Tinus Smits reveals the step-by-step method which he has used for more than 300 autistic children. In many cases, the parents have declared their children 100% cured; in others, the process is still underway with significant improvement. His therapy is primarily based on Isotherapy, a form of homeopathy which is able to address the multiple causes of autism in children and correct them directly. He has made remarkable discoveries as to why autism is on the increase. This book is highly important for parents with autistic children and for all those who are involved in the care of these children. Homeopathic practitioners will find clear direction on protocols for case management and for using Isotherapy to treat autism, including precise dosing methodologies. A practicing physician and 10x NY Times Bestselling Author reveals how we've arrived at an epidemic of "Broken Brains". This 8-part docuseries reveals what conditions like Alzheimer's, Dementia, ADHD, Autism, Depression, Anxiety, and Brain Fog have in common. Plus, practical steps to help you (and your loved ones) optimize your brain function � and reclaim your health, energy + mental clarity. The Autism Hope Alliance (AHA) embodies hope for families facing the diagnosis of Autism through education, financial support and volunteerism. 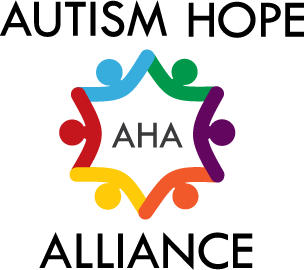 AHA is the first non-profit foundation for Autism to emerge from the natural foods industry. AHA has helped over 30,000 families since 2008 by means of the generous support of our partnerships. The Gift of Hope - Provides families at a reduced or no cost, supplements and nutritional resources for a year. Autism Pantry Program - Introduces families to special foods, supplements, books, cleaners, toys and other crucial supplies.